Defence Connect has reported extensively on Sean Costello's, the former chief executive of Naval Group Australia (formerly DCNS Australia), and Minister for Defence Industry Christopher Pyne's statements of achieving a 90 per cent Australian industry contribution on the $50 billion project. Since Costello's resignation and Brent Clark's ascension to the role, this figure has been in dispute. Clark maintains that Costello's figure of 90 per cent was "lost in translation" and only related to production, not the entire acquisition of the project. Federal senator Nick Xenophon has lambasted the government for the lack of clarity, amid fears that the percentage could fall as low as 60 per cent. "Sixty per cent falls well short of the 70 per cent achieved during the build of Collins and the 90 per cent promised for the Future Submarine Program by Minister Pyne on Q&A last year and by DCNS before a parliamentary committee in March this year," said Xenophon. But amid all this debate of 90, 60 or 70 per cent, the Defence Teaming Centre (DTC) in South Australia and Western Australia's Henderson Alliance have joined forces to push for a new way of thinking about, and maximising, Australia's capabilities on the naval shipbuilding project. DTC's CEO Margot Forster told Defence Connect that, while there has been some positive moves to come out of this percentage debate, like the collaboration of SA's, WA's and Victoria's ministers, the debate itself must change. "Firstly, we the DTC and Henderson Alliance commend the state governments involved for setting aside competition and collaborating to submit a joint position on Australian industry content," said Forster. "We need to see more of this kind of behaviour. Naval Shipbuilding is a national endeavour and will require a national solution if we are to successfully deliver these programs in Australia with maximum Australian industry involvement. 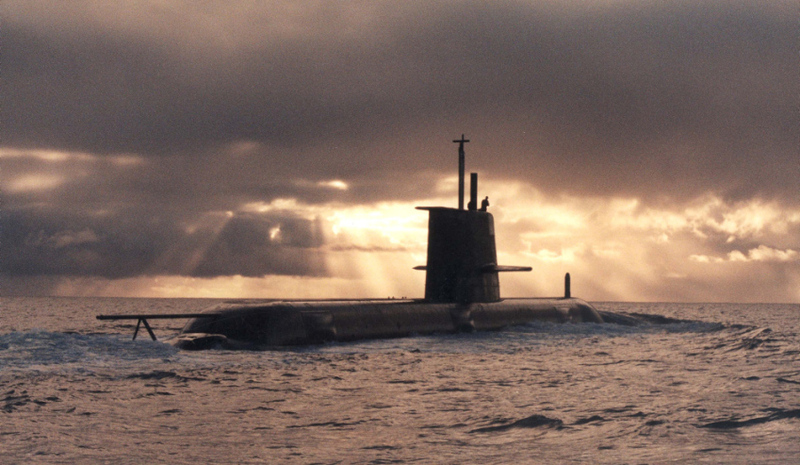 "However, we have concerns about setting a minimum benchmark of 60 per cent Australian industry involvement in the SEA 1000 Future Submarine Program." Forster has questioned what value, if any, there is in placing minimum percentages on projects such as these if there is no incentive for the primes contracted to do the work. "What would be the incentive for either Naval Group or Lockheed Martin to exceed this? Setting a minimum can only be successful if the contract offers incentives such as a financial bonus for exceeding that percentage and the bonus increases for every percentage the prime defence contractor delivers above the minimum requirement," she said. And this is where the DTC and Henderson Alliance have agreed that there must be a shift across government and industry if the mammoth investment is to be truly successful in establishing and developing sovereign naval capabilities for Australia. "Most importantly, we need to change the rhetoric around flat percentages, whether that be 90 per cent or even 60 per cent Australian industry content," said Forster. "We must focus the discussion on Australian sovereign capability. That is the end game here. When we ask for percentages, what are we asking for? A percentage of the components? A percentage of the value of the contract? And at what stage in the build should we expect the 90 per cent be achieved? "We must focus on ensuring that the contract between the Commonwealth and Naval Group includes a clear and transparent plan as to how and when the knowledge and skills to build, sustain and upgrade the Future Submarine will be transferred to Australians. We should all know what the timeline is and there should be incentives for Naval Group to achieve the target early and penalties if they delay the transfer of this sovereign capability." Ikad Engineering and the Henderson Alliance's Darryl Hockey has also stressed that there needs to be more collaboration across industry and government to avoid losing out on high-tech work and the transfer of skills that Australia needs to be a strong player in the defence export market. "What we must avoid is the high volume, low technology work being given to Australian industry and the major high-tech components being retained with overseas suppliers," Hockey said. "This might meet some superficial percentage of AIC, but it will not develop sovereign capability in Australia nor will it ensure a high-tech advanced manufacturing future for Australia with the capacity to export." The Defence Teaming Centre is a nationally-focused member organisation supporting Australian industry to develop their capabilities and increase their competitiveness for opportunities in the national and global Defence markets. It represents more than 250 businesses nationally including prime defence contractors, small to medium enterprises and professional service providers who are involved in supplying and/or supporting defence capabilities. Ikad Engineering is a member of, and works closely with, the DTC. The DTC also works with the broader Henderson Alliance to support their overall capability development and positioning them to maximise opportunities in upcoming Defence programs, specifically naval shipbuilding.